Sixty percent of students who completed a master’s degree in 2015–16 had student loan debt, either from undergraduate or graduate school. Among those with student loan debt, the average balance was $66,000. [i] But there are many types of master’s degrees. How did debt levels vary among specific degree programs? And how have debt levels changed over time? 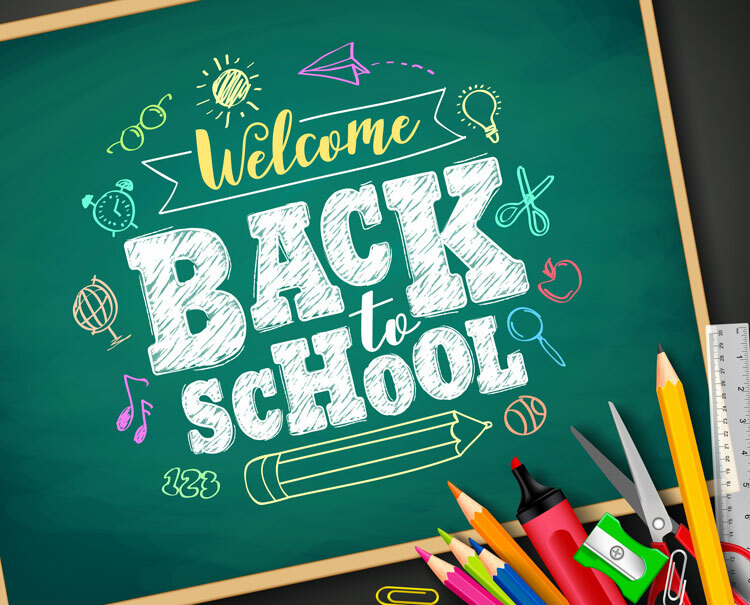 You can find the answers, for both master’s and doctorate degree programs, in the Condition of Education 2018. 59 percent for “other” master’s degrees[ii] (from $47,200 to $75,100). Average loan balances for those who completed master of business education degrees were higher in 2015–16 than in 1999–2000 ($66,300 vs. $47,400), but did not show a clear trend during this period. 105 percent for “other (non-Ph.D.) doctorates[iv] (from $64,500 to $132,200). While 1999–2000 data were unavailable for education doctorate completers, the average balance in 2015–16 ($111,900) was 66 percent higher than the average loan balance for education doctorate completers in 2003–04 ($67,300). For more information, check out the full analysis in the Condition of Education 2018. [i] The average balances in this analysis exclude students with no student loans. [ii] Includes public administration or policy, social work, fine arts, public health, and other. [iii] Includes chiropractic, dentistry, optometry, pharmacy, podiatry, and veterinary medicine. [iv] Includes science or engineering, psychology, business or public administration, fine arts, theology, and other. NCES staff will share their knowledge and expertise through research presentations, training sessions, and booth demonstrations at three notable conferences this summer (listed below). The NCES booth will be also be featured at exhibit halls where conference attendees can “ask an NCES expert,” learn how NCES data can support their research, or pick up publications and products. STAT-DC is NCES’ annual conference designed to provide the latest information, resources and training on accessing and using federal education data. Researchers, policymakers and data system managers from all levels are invited to discover innovations in the design and implementation of data collections and information systems. There is no registration fee to attend STATS-DC, participants must complete registration paperwork onsite at the conference. Attend general information sessions on CCD, data management, data use, and data privacy, etc. Attend data tools and resource demonstrations from NCES staff during designated times at the NCES exhibit booth. Explore the full conference agenda. Some highlighted sessions are shown below. JSM is the largest gathering of statisticians and data scientists in North America. Exchange ideas and explore opportunities for collaboration across industries with NCES staff and other statisticians in academia, business, and government. 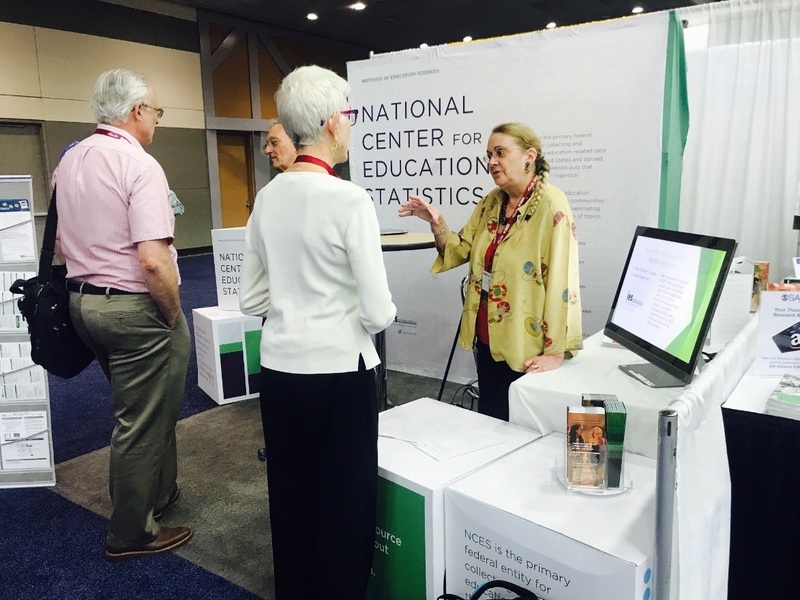 Visit the NCES booth in the exhibit hall booth #227 and meet the NCES Chief Statistician, Marilyn Seastrom. 8:35 a.m. – 10:30 a.m. Professionals involved in the scientific study of society will share knowledge and discuss new directions in research and practice during this annual meeting. Follow us on twitter (@EdNCES) throughout these upcoming conferences to stay up to date and learn the latest in education statistics. We hope you’ll join us whether in person or online!